Woohoo! 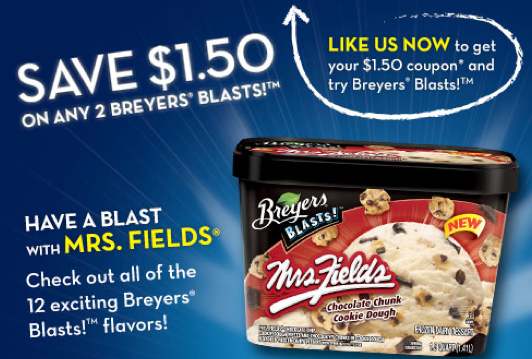 There is a new Breyers Ice Cream Coupon available. The coupon is for $1.50 off any 2 Breyers Blasts Ice Cream. You will have to “like” Breyers on Facebook to print your coupon. Coupon is a Bricks Coupon. Also, don’t forget, for those stores that fully double, there is a $0.75/2 Breyers Blasts Coupon in the 5/22 RedPlum insert as well.